The Lumia range is stretches right across a wide price range, with many budget entry level devices being available. The Lumia 520 was the most successful Windows Phone ever and Microsoft/Nokia will be hoping the latest addition to their portfolio will share a similar success. 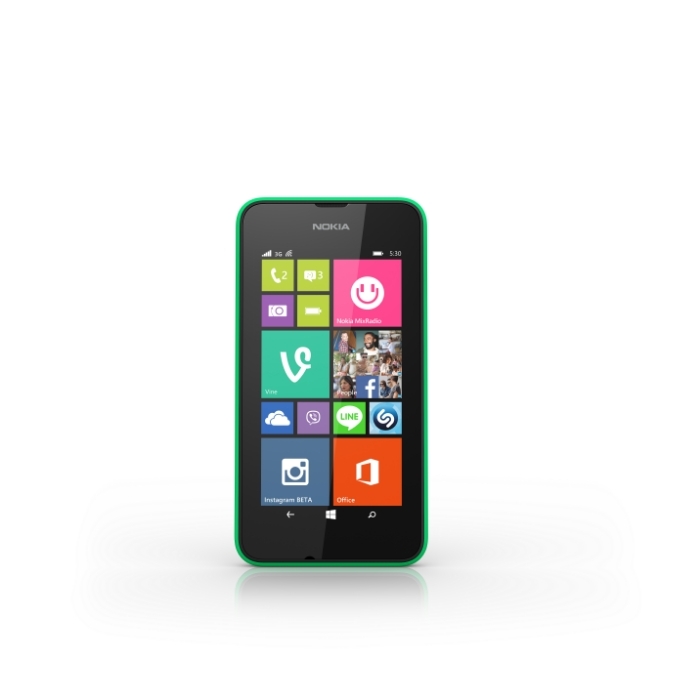 This new phone is the Lumia 530. Spec wise it is predictably basic. – The latest version of Windows Phone 8.1 including one-swipe notifications from Action Center and the fast Word Flow keyboard. – A powerful quad-core Qualcomm Snapdragon processor to deliver a superfast user experience on the 4-inch LCD display. – Seamless integration with Microsoft services such as Skype and Microsoft Office. – Personalisation with changeable shells in bright orange and bright green in addition to the dark grey and white options. 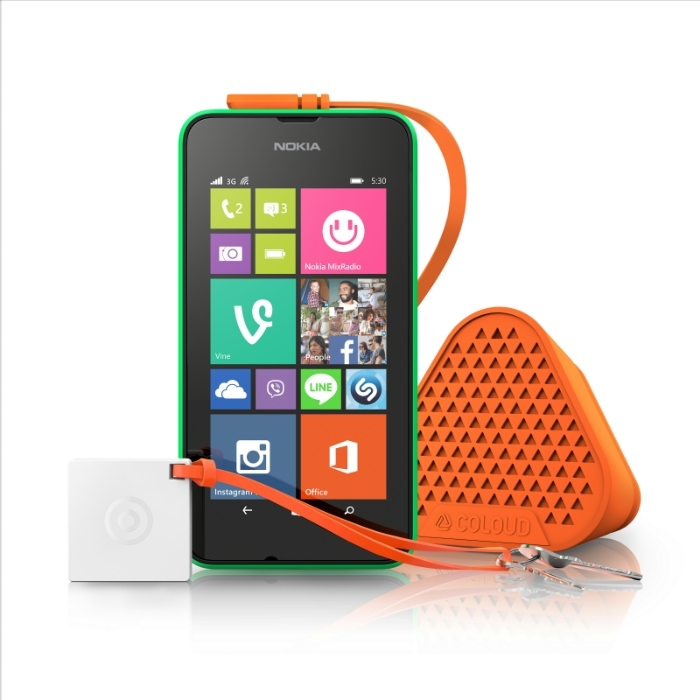 So all in all the Lumia 530 is going to be cheap and cheerful. If you add a huge memory card to it the internal memory won’t be a problem anymore as you can install apps on the card as well as your pictures and music. The only slight downside will be the camera and no doubt also a slight feeling of slowness. The Snapdragon 200 chip will struggle with some intensive tasks. The Lumia 530 will be available in two variants – SIM 3G and Dual SIM 3G – for an estimated retail price of 85 Euros before taxes and subsidies. Global rollout begins in August 2014. 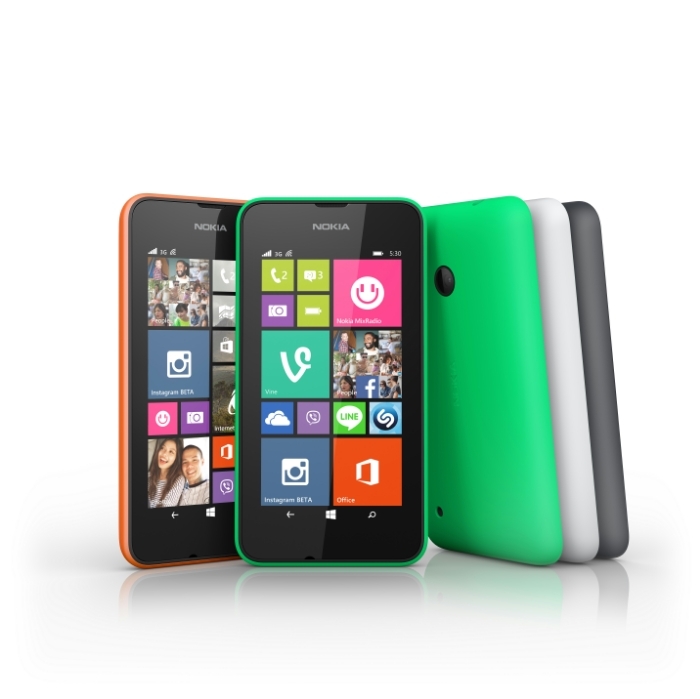 So for us in the UK the Lumia 530 is going to be rather cheap. You can now see why Microsoft are ditching the Nokia X range for this super cheap model instead.